Lt Ray Knight of the 346th FS, 350th FG banks sharply over Bergamo airfield near Milan in his P-47 D Thunderbolt on 25 April 1945. Having taken several hits in the attack, Lt Knight tried to nurse his Thunderbolt back to Pisa but was killed when he tried to force land his aircraft whilst crossing the Appenines. He was awarded a posthumous Medal of Honour. 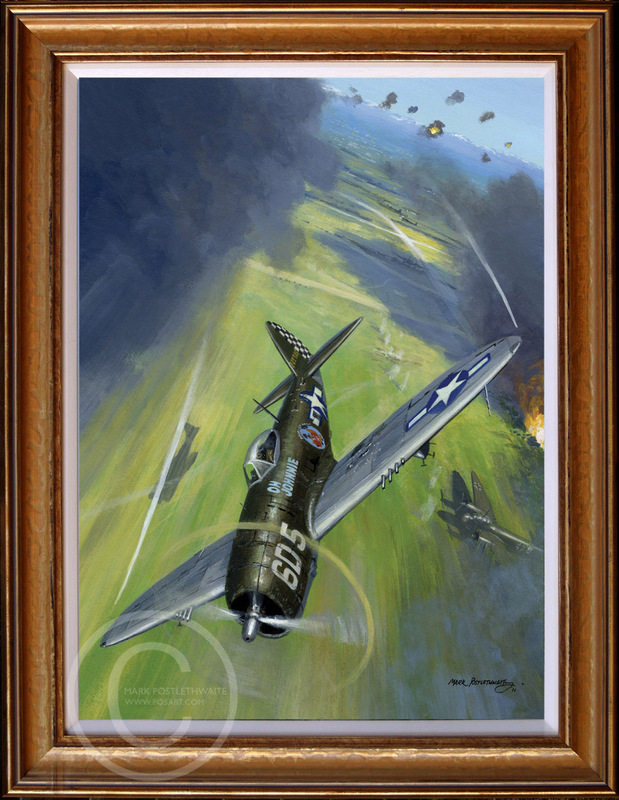 This is the original painting commissioned for the cover of Osprey’s P-47 Thunderbolt Aces of the 12th Air Force.